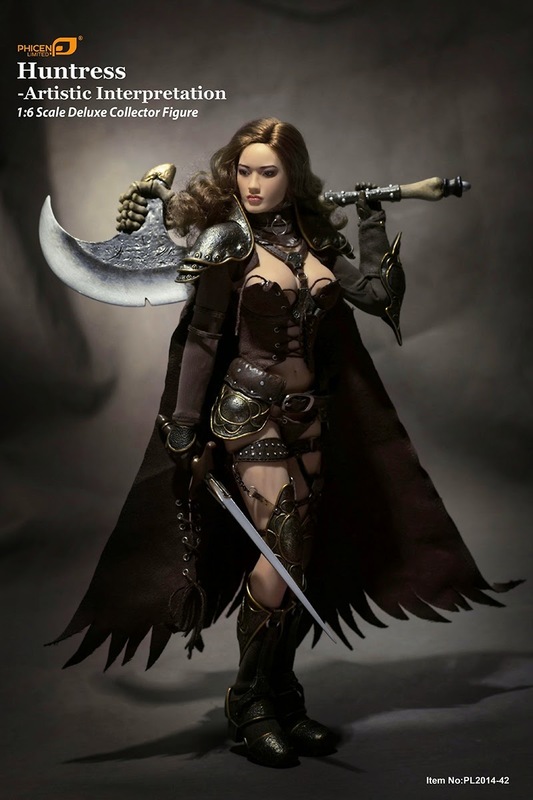 toyhaven: Preview Phicen Limited 1:6 scale Huntress Deluxe Collector Figure - Let the battle begin! 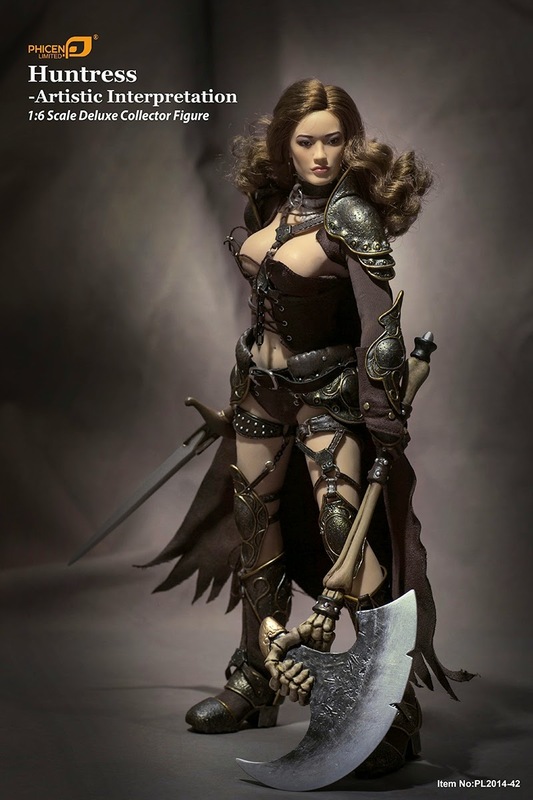 Preview Phicen Limited 1:6 scale Huntress Deluxe Collector Figure - Let the battle begin! What is it with female / women warriors in comics? 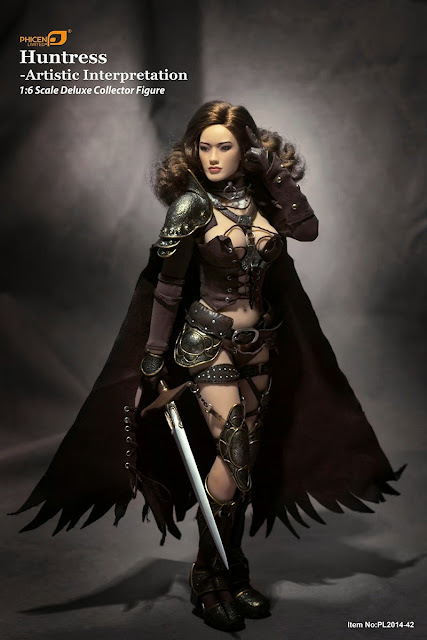 They are usually scantily dressed and armed with big swords or spears, and they can go into battle wearing what little they have and yet never experience any wardrobe malfunction. The answer lies in the fact that most probably because they are all drawn by men. So the next question is: What is it with men and scantily dressed women and why do we enjoy seeing so much of the female form? 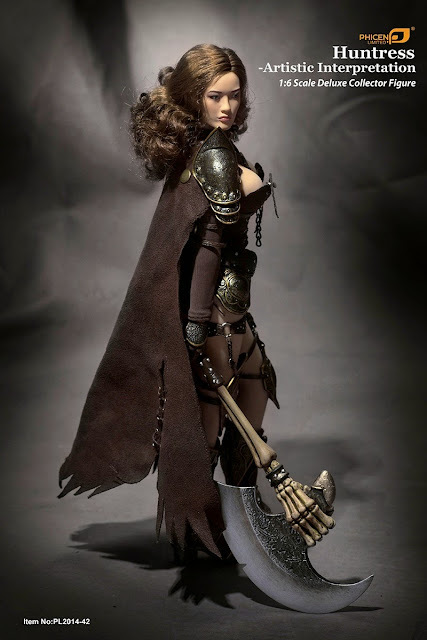 Phicen Limited seems to know what men (more specifically, 12-inch figure collectors) want and have previewed pictures of their next release which will be the Phicen Limited PL2014-42 1:6 scale Huntress Deluxe Collector Figure. Let the battle begin!